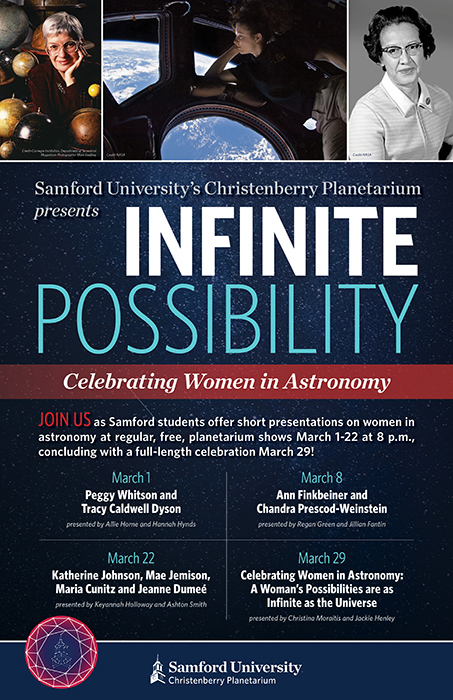 Samford’s Christenberry Planetarium will host a free public series of presentations on women in astronomy March 1-29. Samford students will make brief presentations on notable women astronomers before the start of the planetarium’s regular 8 p.m. shows March 1-22, concluding with a full-length celebration March 29. Planetarium seating is limited, and admission is first-come, first-seated.